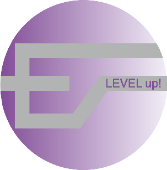 “Level-up! Workplace Tutor goes Europe” project aims at increased professionalization and improved qualification of in-company VET personnel as one of the key actors of vocational education. It works at two levels, a) the practitioners’ level and b) the political level. At the practitioners’ level, it will provide an innovative training concept for in-company training personnel that enables a high-level qualification as well as a peer-to-peer exchange at European level. At the political level, Level up! pursues the establishment of a pan-European multi-stakeholder dialogue on current debates surrounding European vocational education and training (VET) policy. In a pan-European training course, a group of 14 participants from six European countries (Portugal, Spain, Finland, Hungary, Ireland and Germany) follow the blended-learning programme “European Workplace Tutor” previously developed in the LdV projects it’s time and European Workplace Tutor (EWT). This training has been adapted to meet the needs for more learning process guidance, to include European aspects of VET policy and systems as well as current issues in the respective countries. The course runs over a period of 21 months and provide the participants with the complete learning outcomes of the adapted Learning Process Guide profile. d) additional expert consultation on results developed. The events will address aspects of the current European debate on VET issues and bring together VET personnel and stakeholders to discuss these and develop positions and recommendations to contribute to the further debate. The following brochures represent the substance of the subject-specific to the network recommendations.